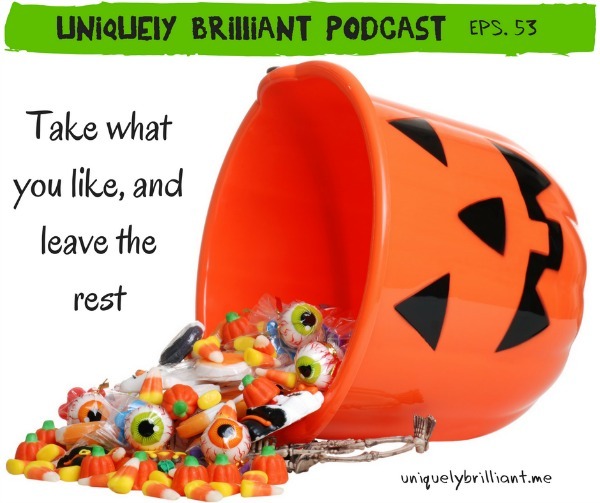 Becky and Diana review strategies that come up over and over in their podcast episodes. You need to know who you are to know what you want. If you don’t know what drives you, anything can. Work buddies and life buddies are those people who really get you and support you as you navigate the world. Choose your circle of friends wisely. They can either raise you up or drag you down. Grounding (when you’re anxious) - name things, touch your fingers together, name numbers out of order, and gratitude all bring you back to the present moment. 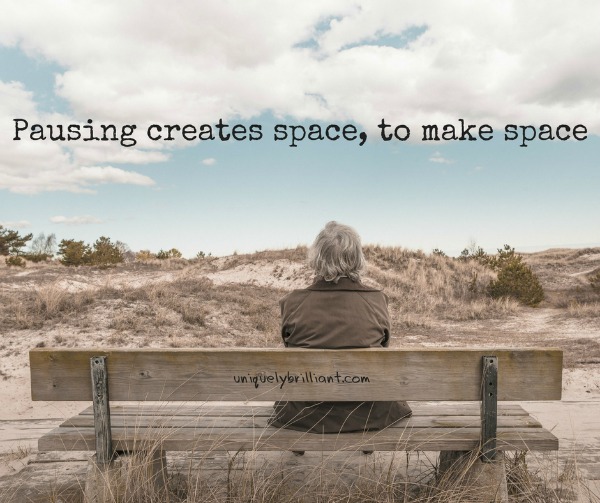 Pause - A focused breath can give you the space to act instead of react. Perspective - Shift your point of view physically, intellectually, or collaboratively. 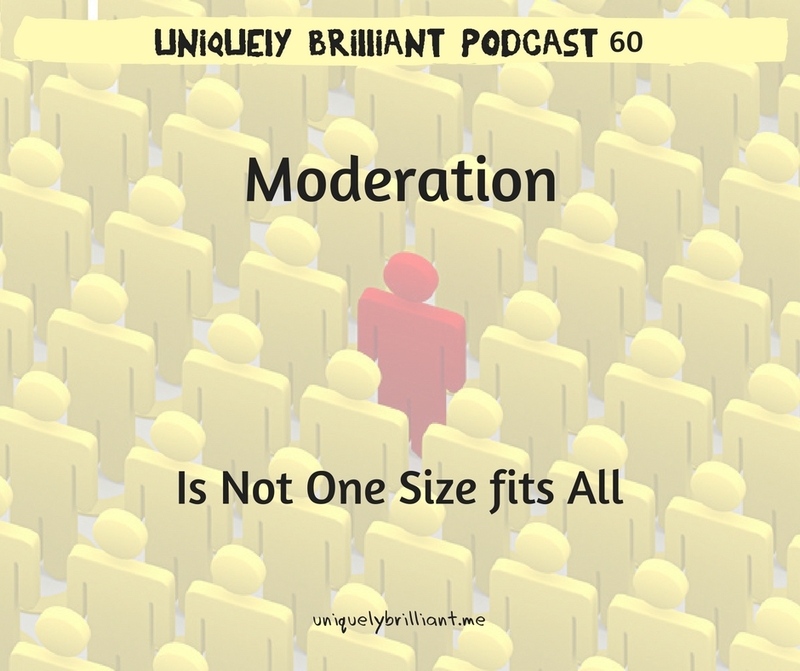 Becky and Diana discuss the challenge of living a life of moderation. Living in moderation is really managing the highs and lows. The enemy of moderation is panic. When in an extreme state, remember you are not the only one who’s had really high highs and low lows. You know what’s best for you. Listen to yourself first. You can’t find the middle without experiencing the extremes. Your middle can grow as your life grows. Just because it exists doesn’t mean it’s right for you. Denial and deprivation make you leap over moderation and head straight to excess. We put the moral value on things; things don’t have intrinsic value. A successful life is about being comfortable and happy wherever you are. 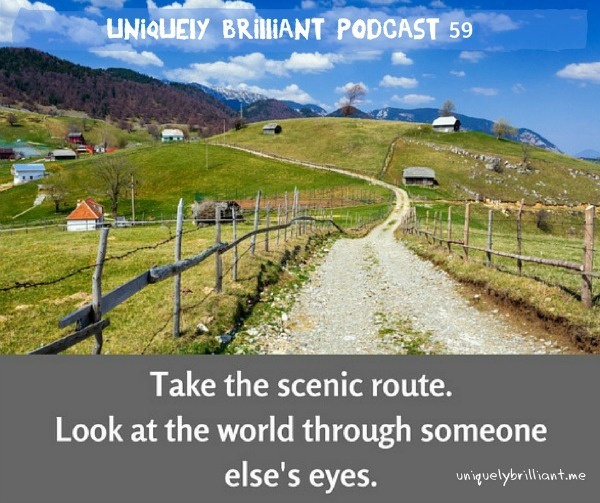 Becky and Diana discuss the value of be able to see things from someone else’s perspective. Being able to see things from someone else’s point of view is a great asset for work, life, and relationships. Conversation breaks down when you can’t or won’t see things from the other person’s perspective. If neither party can see things from the other’s point of view you have a stand-off and nothing gets done. Asking questions helps you gain insight from another’s perspective. When you assume intent, you’re making a guess that could actually be fiction. Self-assess your conversation to ensure what you are saying is being received in the way you want. You miss so much by closing yourself off to others’ viewpoints. There are people who don’t want to take your scenic route. Walking in other people’s shoes, to see what and how they see, can be uncomfortable. Respect is created when you acknowledge someone else’s perspective, even if you don’t agree with it. 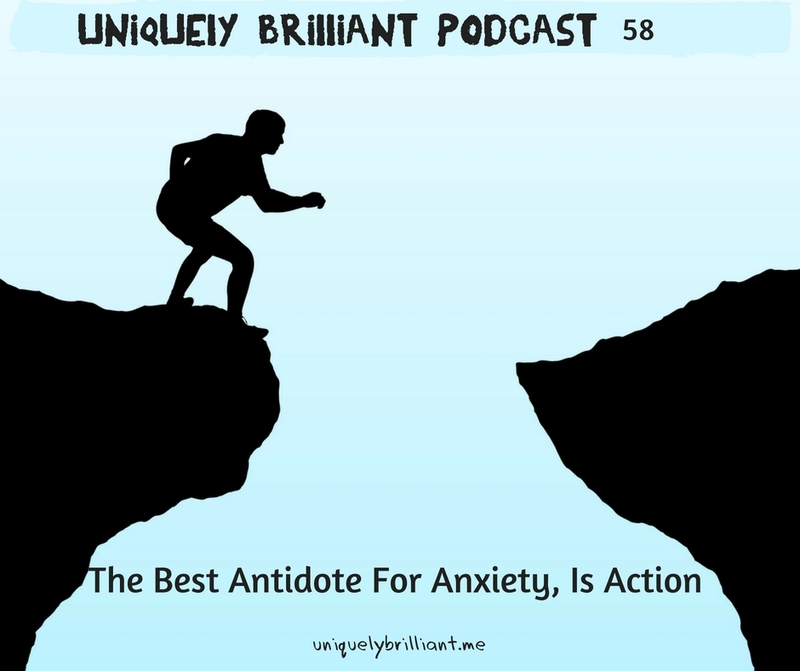 Becky and Diana explore the frustrating sensation of anxiety and share strategies on how to cope with it when it strikes. They also discuss the difference between normal anxiety and anxiety disorders. Decide if your anxiety is being caused by a real situation or a perceived expectation. Uncertainty is one of the biggest factors causing anxiety. To lower your anxiety level, assess what is most important and drop the rest. Anxiety is one of the most contagious negative emotions. The desire to be in control is another factor that contributes to anxiety. Calm > Anxiety Activator > Perceived Danger > Brain Signals Fight or Flight > Body Prepares > Perceived Danger. This cycle continues until it is interrupted. Strategies for battling anxiety include: reworking anxiety provoking thoughts and writing them down, calming self-talk, and grounding. Grounding is a strategy where you re-direct your 5 senses to break the anxiety cycle. Describe 5 things you can see right now. Describe 4 things you can touch right now. Describe 3 things you can hear, or describe your favorite 3 sounds. Describe 2 things you can smell right now or that you like to smell. Describe 1 thing you can taste right now or that you like to taste. We assign importance to things and then react to that importance. The things are not important on their own. Anxiety Disorders differ from typical anxiety because they create a constant anxiety loop and need interventions to stop them. Occasional anxiety is usually situational, and strategies can be taught to cope with the anxiety when it arises. The actions you take to deal with your anxiety depend on your personality. 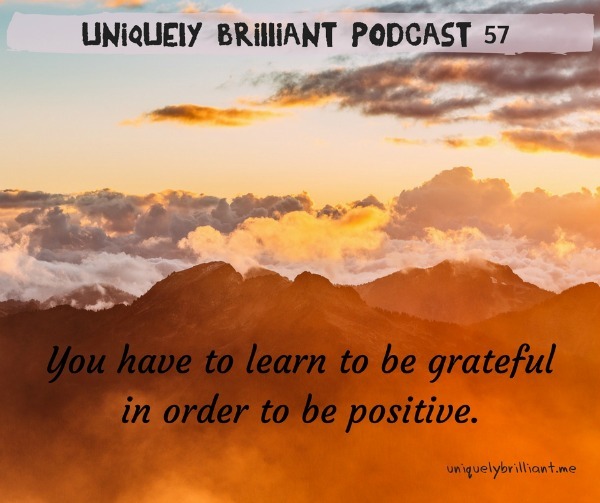 Becky and Diana examine how living in gratitude can impact your life. A simple “Thank You” is one of the first ways we are taught to express gratitude. To live in gratitude, you have to practice gratitude. Gratitude shifts your thoughts from focusing on the negatives in a situation to finding the positive. Living in gratitude is an intentional act. Gratitude can be the catalyst that moves you forward. The least selfish thing you can do is be grateful. Before you go to bed, during meditation, or while taking a walk list the things you are grateful for. Once you have developed a gratitude practice, you will find it harder to stay in frustrating and upsetting situations. Every second you spend being grateful gets you closer to being more grateful. 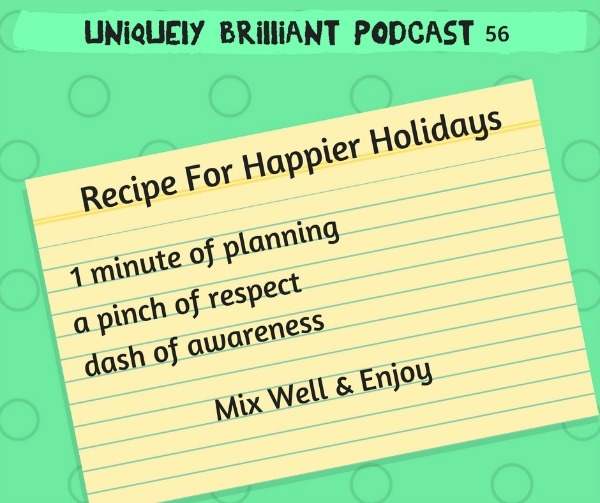 Becky and Diana provide strategies for creating a happier holiday experience. Our own expectations can create one of the biggest challenges of the holidays. Expect and accept that things change when reconnecting. Respect the differences of the people you will be surrounded by. Remember to respect yourself and your needs, too. Pre-planned responses and actions are great strategies for preparing for an event – whether at a relative’s house or at a party. Pre-plan for less social times too. If you find yourself alone during the holidays, volunteer or create your own traditions. Beware of over committing and over doing. Have an exit strategy for each event you attend. During each event you attend take an internal energy check to help decide what you need to do next. 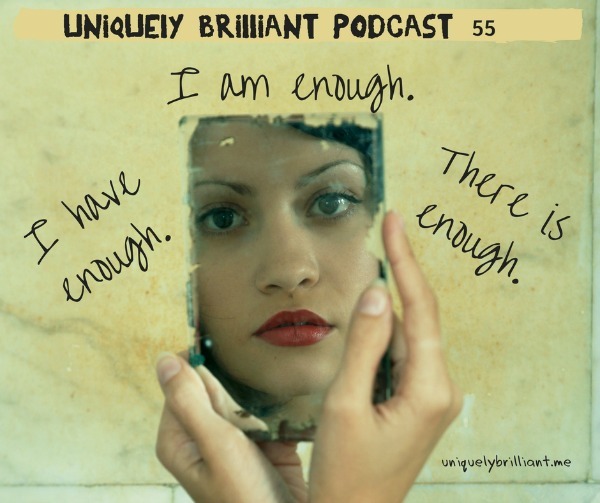 Becky and Diana explain how to figure out that you are enough. Enough is the sweet spot that lies between the “More” mentality and the “Lack” mentality. These mentalities are about scarcity. The “More” mentality is based on the need to have more and do more in order to be more. The “Lack” mentality is based on the belief that there will never be enough. Choosing to see you have enough in any given moment is very powerful. When we dwell on the negative, we miss the positive. Striving for perfection is a sign of the “More” mentality. In the moment of recognizing that there is enough, you realize you don’t have to have all of the answers and you get ok with that. Being in the place of Enough is a practice, and it gets easier over time. Take the time to look at what went right so you can duplicate it. Becky and Diana discuss how to take criticism in a way that helps you grow. Criticism is often seen as a loaded word. It’s frequently associated with fault. Self-criticism is based on stories we tell ourselves, whether they are true or not. 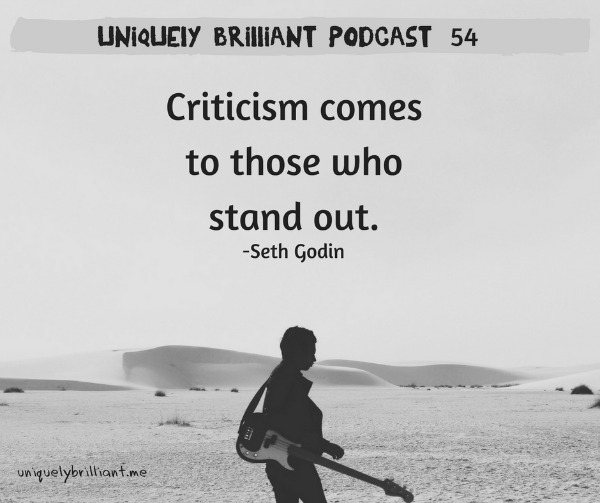 When you are Uniquely Brilliant you are a target for criticism because you stand out. You get to decide if there is something you can build on from someone’s criticism of you. It doesn’t matter how the criticism is delivered, what matters is how you choose to receive it. Take the emotion out of the criticism to find its validity. Giving positive feedback is a learned skill. When you say something in a way that makes people feel validated and heard, they can learn from what you tell them. How would your role model respond to criticism? When all else fails, smile until you are ready to respond. Becky and Diana discuss “The Resistance” and its forms and functions. Resistance = the things that try to stop you from forward progress. Fighting through resistance requires you to move past your comfort zone. There are two types of resistance, internal and external. The Resistance makes you stronger, because every time you push through it you recommit to your plan. External resistance comes from the bumps in the road of life. External resistance becomes a bigger problem when we attach expectations to our outcomes. 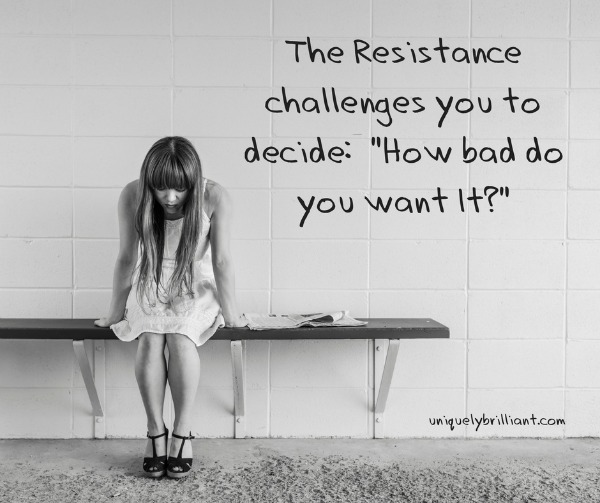 Resistance can be an opportunity to stop, reassess, and go after our goal from a different angle. Upper Limit problems may require picking apart the resistance, piece by piece when you realize going around it or through it isn’t working. Identify the resistance and you can identify a strategy to deal with it. Forcing your HOW? 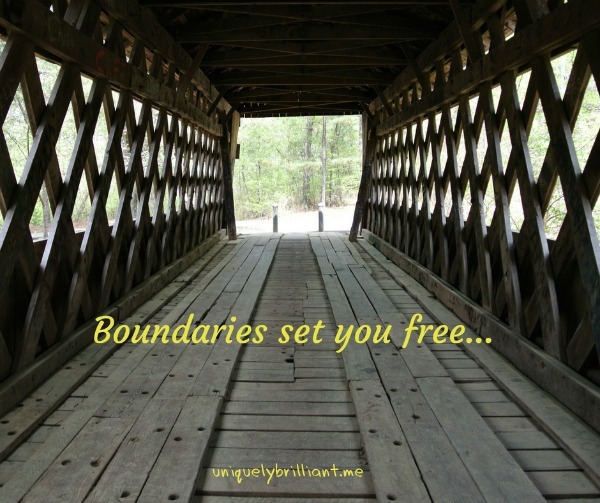 Limits you to what you can imagine, not what’s out there in the world for you. Knowing other things like who you are; where you want to go; and why you do what you do, informs your how. When you approach your how with expectations, you are setting yourself up for failure. Trust that things will unfold as they should. Resistance is that thing that pops up and detours you. Flexibility allows you to see more angles. Be discriminating about what you take in. Sort it by what works for you and let the rest go. Be YOU fully, and your how will show up. Set an intention for what you want, and watch it unfold. At the end of the day be grateful for how your How showed up. Becky and Diana explore the process of figuring out where you are and where you are going. On the journey of life it is easy to get preoccupied and miss where you thought you were headed. 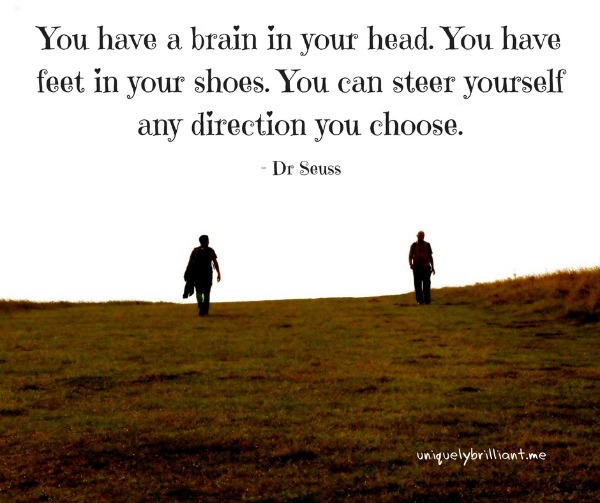 Before you start moving toward something new, assess your current location. Where are you emotionally, financially, physically, with work, relationships? Where have you been? What do you want to take with you? What do you need to leave behind? Get really clear on your destination. Allow the detours along the way to give you another perspective. One thing may stay the same as another changes. Don’t get so focused on the time table that you miss the journey. Enjoy the ride and be open to opportunities along the way. 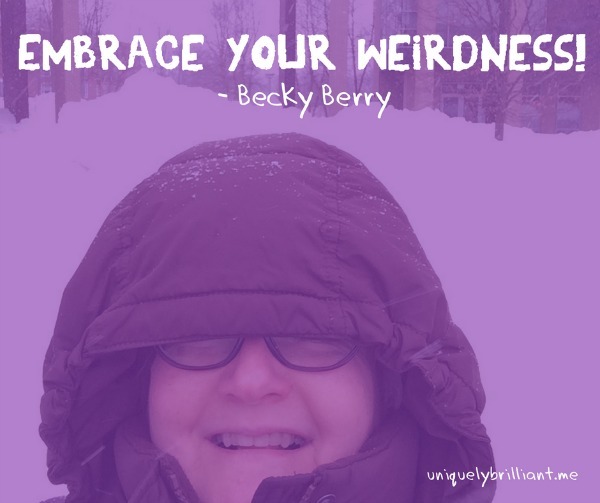 Becky and Diana challenge you to think of something you really want and ask yourself, “If not now, when? Your personality style has a lot to do with when you choose to take action. When is when it’s right. There can be versions of your end goal. It’s not all or nothing from the beginning. Complimentary personality styles make great accountability partners. When doesn't have to be the end game, it can be the first taste of your goal that motivates you to keep going forward. Get to the root of your objection to Now. Just admitting you want something different is a start. When you stop being curious about your world, you drift. Finding your Why requires you to ask a series of questions that help you peel back your layers to discover it. Your Why provides you your essential motivation for life. Match your mission (your Why) to the school or company you want to be a part of. Make sure the company or school you are interested in is living out their mission statement. Why works when building relationships, too. 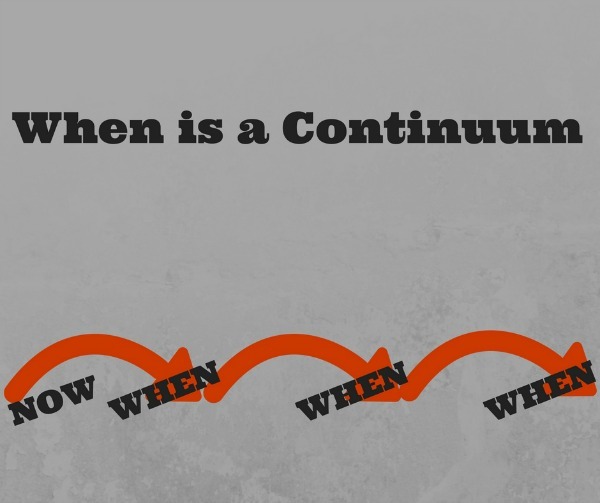 Come up with specific Whys before attending events to get the most out of them. Your Why can be a compass or a life preserver. Your Why can change through your seasons of life. 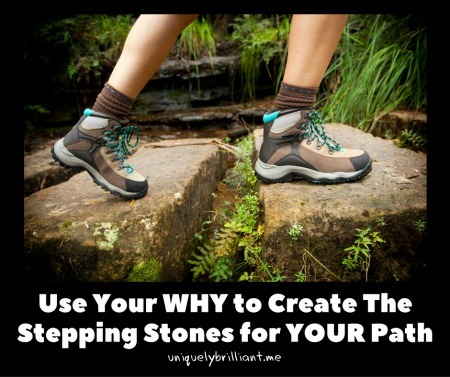 Create an avatar to help you express your Why more concretely. 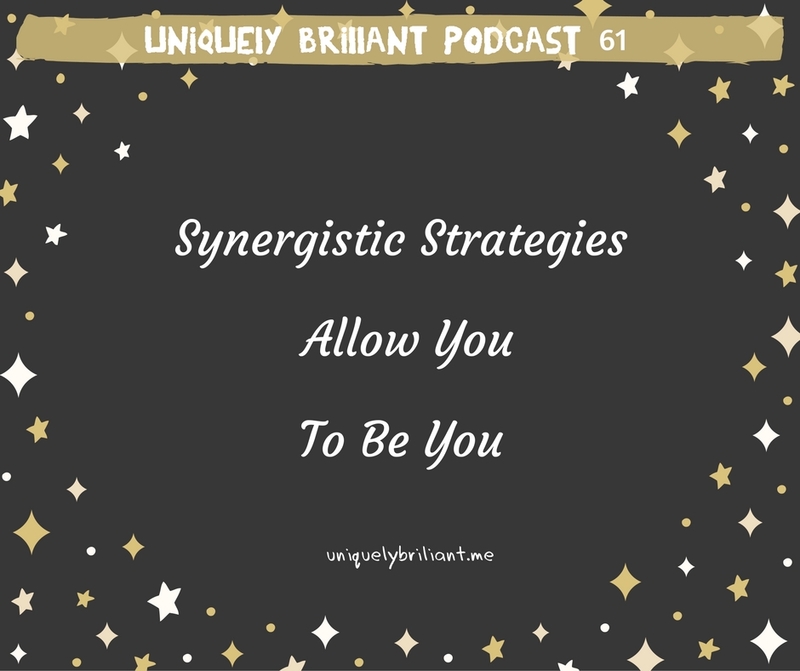 Becky and Diana give you strategies for finding your personal tribe and explain why you need one. Your personal tribe consists of the handful of people you get close to, and that help you grow. Your work tribe consists of the people at work who get you and support you. Your business tribe consists of those people you are targeting so you can grow your message. Isolation can lead to early mortality. The word “friend” has been cheapened and devalued from its original meaning due to social media’s overuse. So its definition has been dulled over time. True friendship consists of a reciprocal, deep, and connected relationship, where you can not only be your real self, but you are encouraged and respected for it. Why build a tribe? For support, to glean other perspectives, and to be heard. Pay attention to people who are curious about you and trying to engage with you. 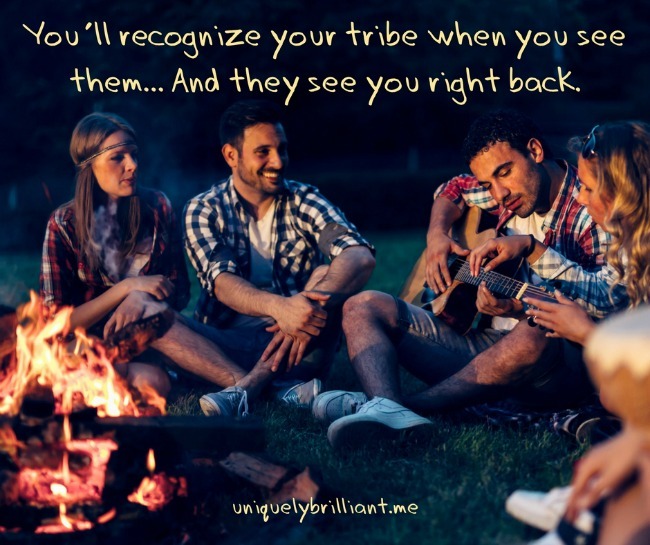 They could be the next great member of your tribe. To connect with others to expand your tribe, get curious about them, ask questions, and say “Yes” to invitations. Find your tribe where you find people who have something in common with you. Learn from missed opportunities to connect. You don’t have to like everybody; you just have to learn how to deal with them. 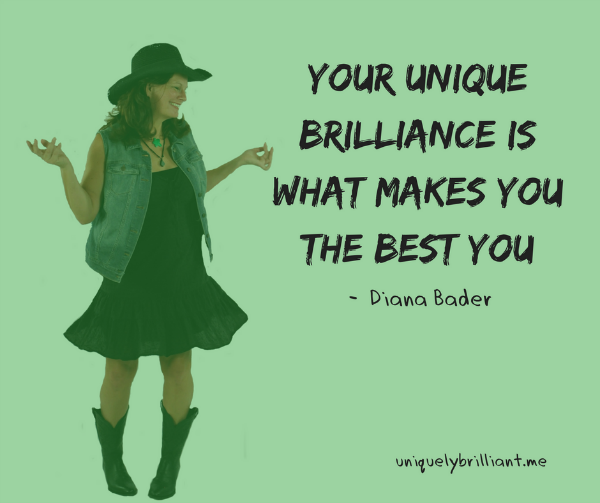 Becky and Diana challenge the idea that Unique Brilliance is just a gift. They believe it is a set of skills you can use to set you apart and stand out in a positive way. When you are Uniquely Brilliant you automatically have a stellar tool box. Gifts are things you stick on a shelf, tools are things you use. Companies value people who can identify problems and come up with unique ways to solve them. Uniquely brilliant people can do both. Nothing great ever came from following a straight line. 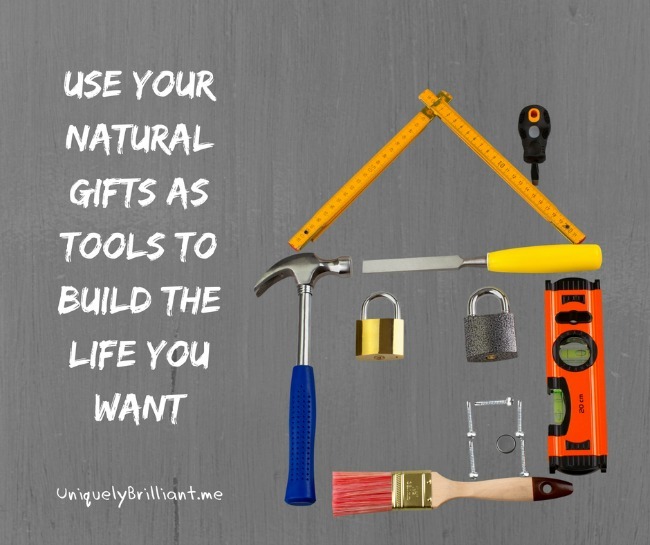 The framework you create by taking advantage of your tools is the platform from which to build your life. When you don’t use your tools, you limit yourself. When you are comfortable with yourself, it makes it easier to assimilate to new situations by helping others understand and find value in you and what you do. What does the life you want look like? Balance your life by gathering groups of people who complement your abilities. Becky and Diana talk about how to use every piece of your experience and knowledge to create your best life. McGyvering your life means that you repurpose your experiences and skills in creative ways to create the life you want. Build your life based on the pieces you already have. Recognize that your skills have more than one purpose. Your soft skills are most versatile. Build your skills and experience by exploring different subjects. Being able to see life differently is your most valuable tool. We thrive and grow on innovation. Connect your knowledge base to your problems to create solutions. If other people are telling you, “You’re Crazy!” you’re probably onto something. 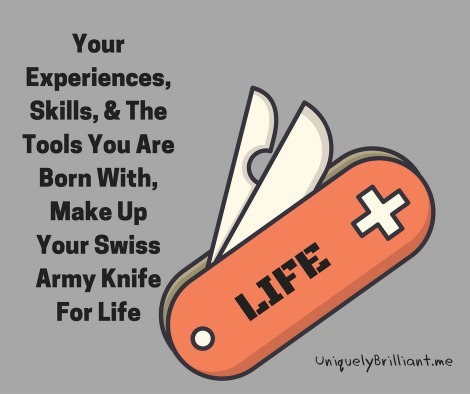 Your experiences, skills, and tools you are born with, are your Swiss Army knife for life. Becky and Diana discuss the value of beginning again after a change in direction, setback, or pause. After a setback or trauma it is important to take a pause to gain a new perspective. Growth happens when we are in a state of rest. Think like a Phoenix and rise from the ashes brighter and stronger. What can you learn from what happened? To begin again often requires letting go, so you can move forward unencumbered by the things that were holding you back. Any action forward is a new beginning. To begin again does not mean you start over. Becky and Diana challenge the notion that opportunities and experiences must be completed in a certain time frame. Passion and Purpose will nag you if you ignore them. Just because you didn’t do it when you thought you would doesn’t mean you can’t do it now. It takes a lot of energy to keep your dreams stomped down. The Universe is not going to let you settle. Sometimes an experience has to happen at the right time. Creating an arbitrary expiration date limits you. What you put out into the world, like a Random Act Of Kindness, never expires. Becky and Diana examine the role grit and resilience play in becoming successful. Most successful people overcame something. Real success is coming back again and again, and never giving up. Grit is knowing you can do better than just getting by. Grit is being who you are, despite popular peceptiion. 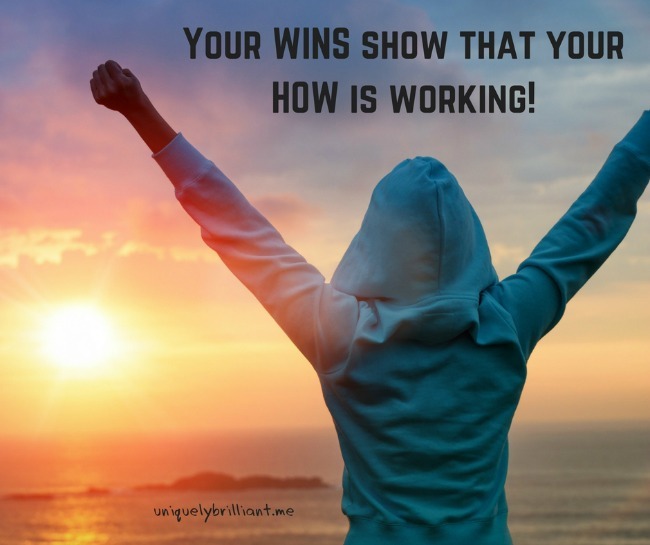 Resilience creates its own momentum propelling you in the direction of success. If just one person has been successful at what you want to do, why not you? Supportive people lift you up and embrace your dreams. There is no true success without integrity. Grit lies between average and failure. Becky and Diana tackle the concept of life’s smelly little lessons, and give you strategies to handle them. Smelly Little Life Lessons come in three flavors: External, Personal Dynamics, and Individual Characteristics. External – From outside forces that you have absolutely no control over. Personal Dynamics – From things that happen directly to you that realign your world. Individual Characteristics – From things you bring to the table that make up your Unique Brilliance. SLLL’s give communities opportunities to come together in ways that may not have been obvious when things were at status quo. The 5 stages of grief accompany all SLLL’s. You have the choice to learn the lesson! It is important to feel the lesson, but not wallow in it, to learn the lesson. Find what thing or action will shift so you can move beyond the SLLL. Learn to accommodate for your own Unique Brilliance. Friends take the stink out of Smelly Little Life Lessons!